Bo Jackson’s Elite Sports is excited to announce the merger of two premium baseball programs. The Illinois Sparks and Cangelosi Baseball will be joining forces to create an unparalleled travel baseball experience. 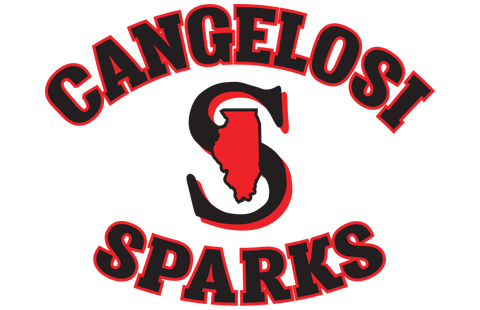 Now known as the Cangelosi Sparks, we will conduct tryouts to assemble two teams at each level from 8u-18u. Participation will include elite memberships at the Bo Dome, a comprehensive off-season training program, and a competitive spring and summer schedule. As a Cangelosi Sparks player, you will have access to all of the resources that the Bo Dome offers to improve your game and advance to the next level. Cangelosi Sparks will feature skill development programs incorporating state of the art technology, along with preparing athletes in various off-field components including sports performance, nutrition, cognitive training, MLB scout & college recruiter interaction, NCAA compliance and character development. The program will put players through training designed to accelerate their maturation and readiness for the next step in their respective baseball careers & life.